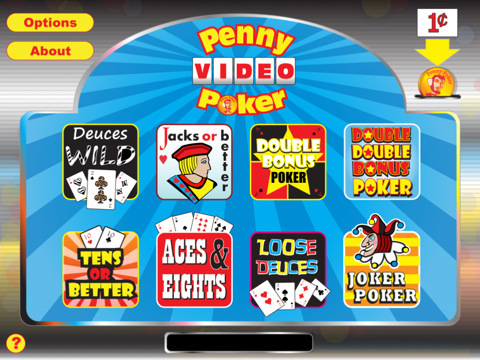 Developer Quote: "With Eight games to choose from, feel like you’re in Vegas with Penny Poker Video Poker!" Do you love heading to the casinos to try your hand at slots, poker, roulette or some other game? I know several people who take a gambling cruise from time to time just to indulge their love of the machines! 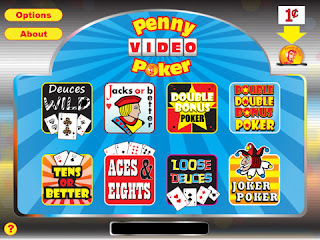 Now you can enjoy video poker wherever and whenever you feel like playing! Whether you are a seasoned player or a complete novice, Penny Poker is the game for you. I love the replenishing bankroll which comes in handy, and the ability to change the amount of the wager. With so many cool features and exciting games, you can have fun anytime you want pretending you're in Las Vegas without leaving home! COOL CONCLUSION: "Penny Poker takes you on a fun card wagering ride with beautiful graphics and realistic sounds of the casinos."